BE Extinguishers There are 3 products. 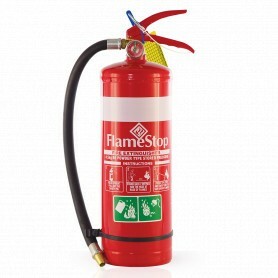 FlameStop’s range of BE Dry Chemical Powder type fire extinguishers are suitable for flammable liquid fires (Class B) and electrically energised equipment (Class E). Our full range is approved to AS/NZS 1841.5 and can also fight cooking oil and fat fires (Class F). 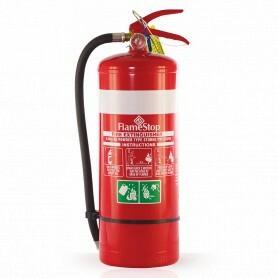 The extinguishers are constructed to a high quality standard with thick powder coating finish for increased UV resistance. 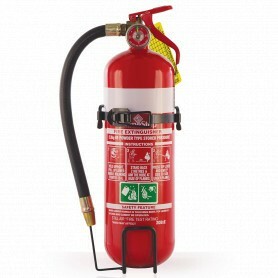 The handles are red powder coated and the extinguishers come with either a wall bracket or vehicle bracket.